This amazing prize includes return economy airfares for two people from any Australian domestic port, courtesy of Jetstar, plus four nights’ accommodation in a four-star hotel, car hire and $500 spending money. New Zealand is a paradise for food and wine lovers with a long list of attractions including the Marlborough, Hawke’s Bay and Central Otaga wine regions, plus some of the world’s best seafood, coffee, cheese, craft beer, farmers markets and of course, manuka honey. And there are so many tales to share about New Zealand’s history, legends and culture. We just LOVE the story behind one of its national dishes: the Hāngī. No trip to New Zealand would be complete without sampling the Hāngī, a traditional way of cooking that slowly steams and roasts meats and vegetables under the earth. New Zealand’s indigenous Māori traditionally cooked food in ‘earth ovens’ and this breathtaking dish is still widely cooked today, although be patient, it takes many hours to prepare! For your chance to win this amazing prize, register your A Taste of Harmony event and tell us about a dish that represents your cultural heritage (or one that you love to eat) and why you like sharing it with others? The competition is open to anyone who registers an A Taste of Harmony event from Friday 15 February until Friday 29 March. So, what are you waiting for?! 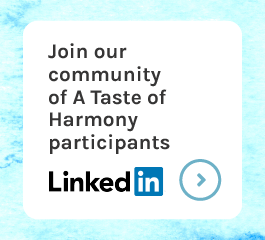 Register your A Taste of Harmony event today by clicking here.